I miss writing. I miss telling our story. So, I'm going to start writing more. And I'm going to tell more of our story. Garden, hen hatched chicks, my soap business, homeschooling - so much I have to tell you. 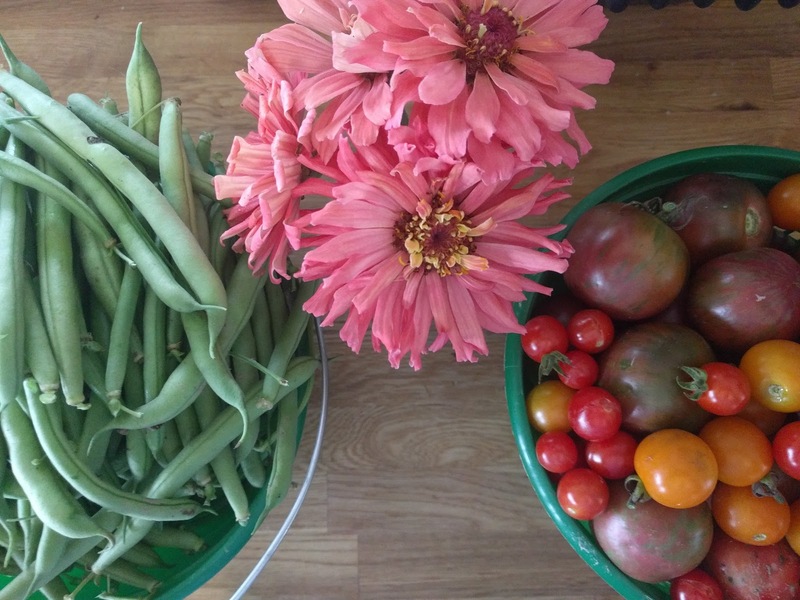 But for now, I'll leave you with this picture of a recent garden haul. 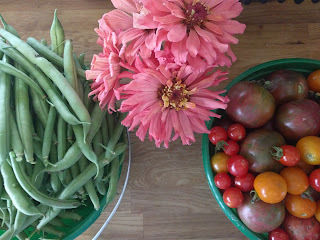 We are really loving these Pink Senorita zinnias from Baker Creek. Because life is more beautiful with flowers. Labor Day is over, so you know what that means? No more white jeans, right? Or is that "cool" now? I don't know - fashion was never my strong point. No, no...labor day is over and now it means that the grocery stores are going to be flooded with pumpkin E.V.E.R.Y.T.H.I.N.G! Pumpkin spiced Cheerios. Pumpkin bagels. Pumpkin tea. Pumpkin coffee. Pumpkin peanut butter. So much pumpkin! 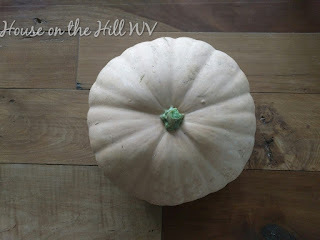 I love pumpkin as much as the next fall loving girl, but I prefer to get my pumpkin from the garden. A few years ago, I fell in love with the Long Island Cheese Pumpkin. Good flavor, great yield! They are doing great in my squash jungle this year and I harvested my first one a few weeks ago. They hold well in storage, but since I was looking to start my fall baking, I decided to roast it. Roasting is simple - cut the pumpkin in half, place cut side down on a cookie sheet, add a little water and pop it in a 350 degree oven. Check on it periodically and when the skin is softened on the pumpkin, pull it out. 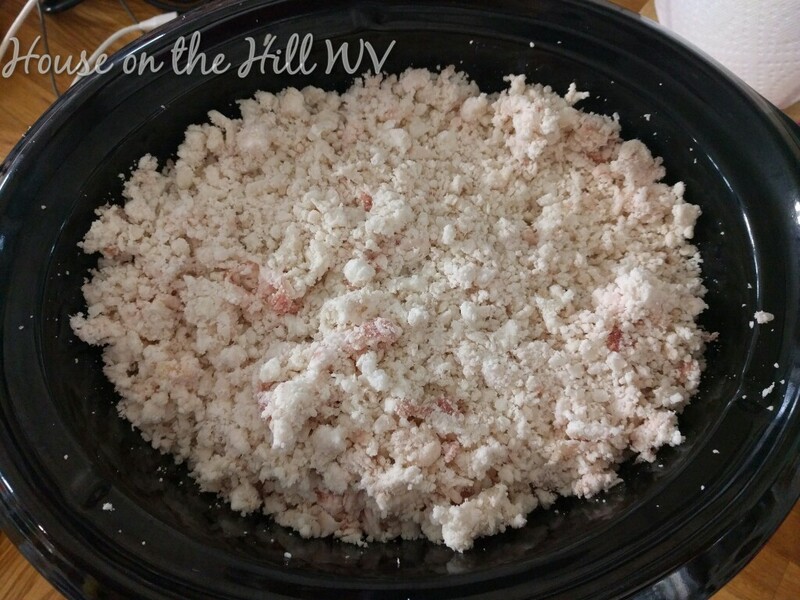 Let it cool and then scoop the flesh into a food processor. Whiz that baby up and let it drain through some cheesecloth. 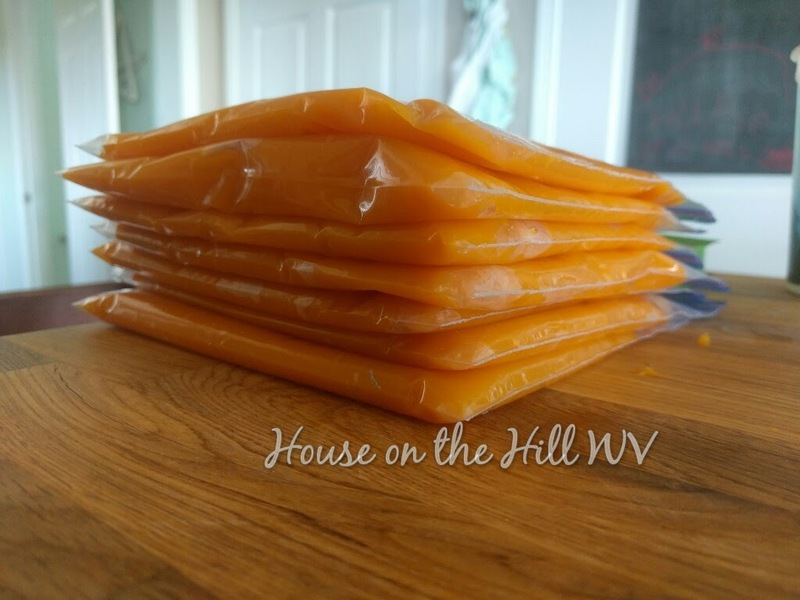 Measure it out and freeze in quart bags for future use. I freeze mine flat on a cookie sheet first for better stacking in the freezer. You know, when you get a hankering for some pumpkin chocolate chip cookies. Or maybe some pumpkin bagels. I made some a few years ago...think I might have to pull out that recipe and make them again. This pumpkin gave me 7 cups of pumpkin puree. Take that canned pumpkin! I have 5 more in the garden, so I should be able to fulfill all my pumpkin dreams this fall and winter. What about you? What's your favorite pumpkin treat? 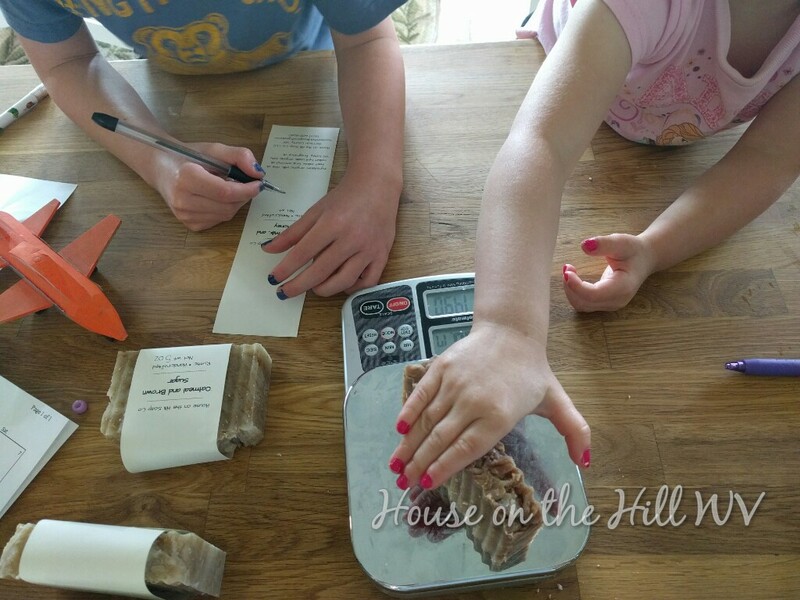 Well, it's official - House on the Hill Soap Co is here! After over a year of vacillating on what to do, I've jumped right in. I will be selling my soap at the Bridgeport Farmers Market, Doddridge County Farmers Market, and the Bonds Creek Farm Market will carry a selection. I won't be at each market every week, but check back here on the blog and I'll let you know where I'll be and what varieties I will have. This Sunday, May 15 is the opening day at the Bridgeport Farmers Market and I will be there! It is located off of I-79, exit 124. Just follow the signs, smells, and sounds that lead you to a truly fun Sunday treat. This week, I will have Oatmeal, Milk, & Honey, Oatmeal & Brown Sugar, and Chocolate Swirl. I've already had a request for some online ordering, but for the time being I will only be at the markets. 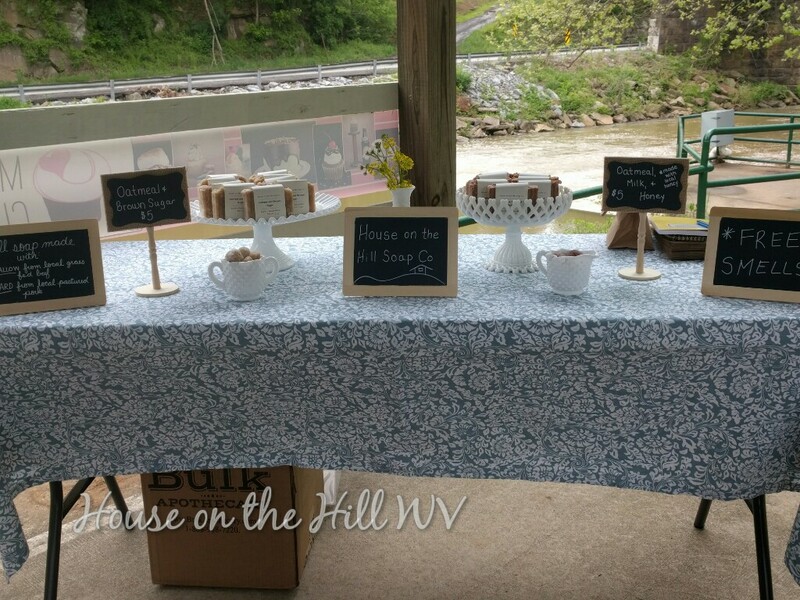 If you'd like to set up special orders or arrange for a local pick up, feel free to shoot me an e-mail at houseonthehillsoapco@gmail.com. I'm no longer on Facebook, but you can find me on Instagram! I'm so excited to have something I truly love doing and can do it while homeschooling my kids. And you know, keeping up that crazy chicken lady stuff, and growing as much food as we can. Here goes! If you've been on my Facebook page over the last year, you've probably seen off and on posts about starting a soap business. I've been making soap for my family and friends now for over two years. It's really something I enjoy and I've gotten some great feedback about it. I *think* finally ready to take the plunge! 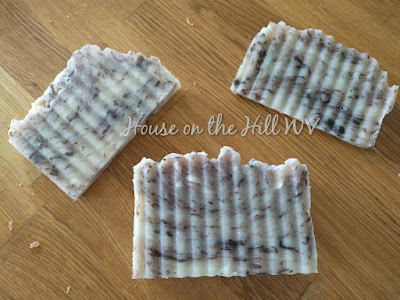 I really like making things from scratch, so soap was a no brainer thing for me to start making on our homestead. I have also adjusted the recipe to use tallow, which I have been rendering myself as well. I'm working my way through the business mumbo jumbo right now - things like insurance and registering my business name. But, be sure to keep an eye out for House on the Hill Soap Co! Chickens in sweaters are awfully cute, but did you know that chickens don't *need* sweaters? Chickens actually have a more difficult time in the summer than they do in the winter. 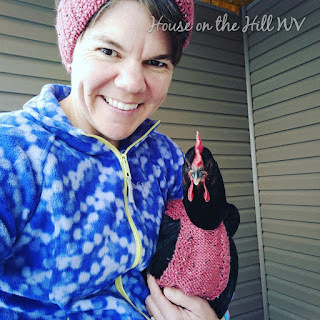 Our coop has no supplemental heat or lighting and our gals fare just fine. I wanted to knit this sweater up just for fun - it really brings out Rose's comb, don't you think? 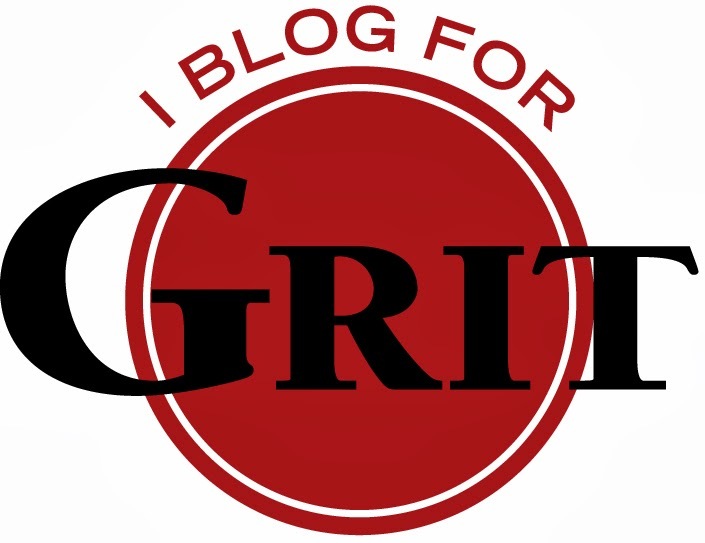 Be sure to check out my latest Grit blog! Soooo......I love being in the kitchen. It helps relieve stress and I love cooking up good, healthy food for my family. For my birthday two years ago, my hubs got me an electric pressure cooker. It's been a delight to use, especially when cooking up our dried beans from the garden. Rewind to Friday evening. I was cooking some Calypso beans from last summer in the pressure cooker for some homemade baked beans. I had the chicken cooking all day in the crock pot and everything was ready to go for the baked beans, except the beans weren't quite ready. I released the pressure from the cooker and *thought* that there was enough released to open the lid. My first indication that the lid was still on somewhat tight should have made me stop. But, it didn't. I had two hungry kids and it was a beautiful day and I wanted to get dinner on the table so we could play outside until bathtime. Well, turns out, the cooker was not ready to be opened. 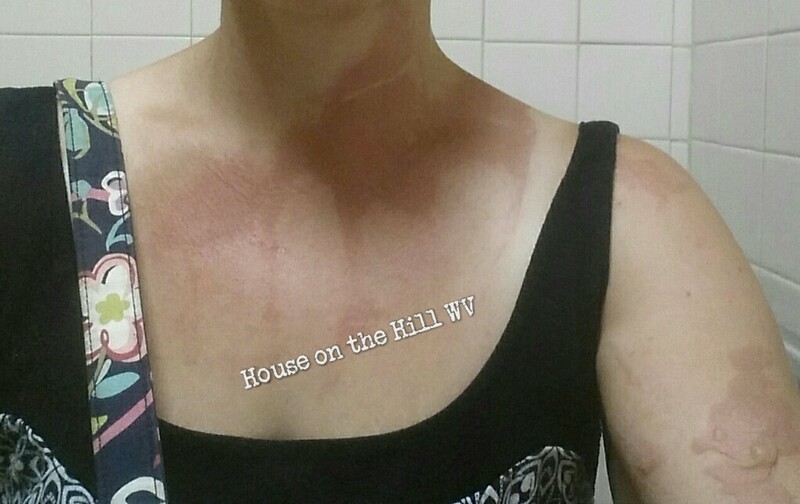 As the lid released, boiling water spurted out all over my chest, arm, and thighs. Fortunately, my kids and husband were playing in the living room and were nowhere near me. They also had no idea what happened until I screamed and was ripping my clothes off to run to the shower. I tried to run cold water on it, but it hurt too bad. When my husband realized what had happened and looked me over, he quickly ushered the kids ready and we got in the car to go to Med Express. Luckily for me, the water did not hit my face or eyes. 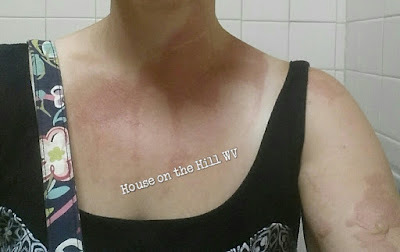 I do have 1st and 2nd degree burns, but it could have been far, far worse. I was prescribed pain medicine and some antibiotic cream and sent home with instructions to focus on "pain and protection." Since it hit the front of my legs, pants are out of the question. Luckily, I am a skirt and dress wearing fan for the summer and so, I've been ok so far. The pain medicine was really unnecessary as well (after my c-section, I only used Tylenol...). I was reluctant to share this because it is somewhat embarrassing to make such a foolish mistake. But, as I spoke to my friends over the weekend and they saw the damage, not one person told me it was foolish or stupid. Everyone was relieved that it was not any worse and wished me well in my recovery. And while I hope to not have any major scarring from the incident, I will use any scar I have as a reminder to slow down. Life moves fast enough as it is, I don't need to rush things. It's back! 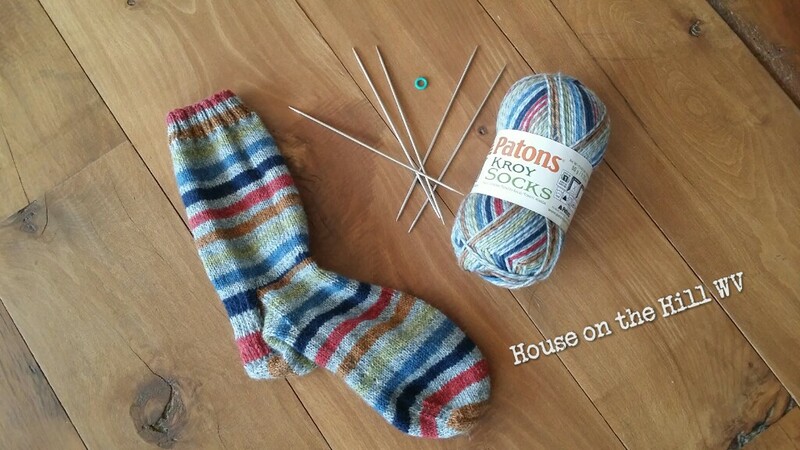 I'm starting back up my weekly "What's on the Needles" posts! Knitting really helps keep me centered and the benefits of knitting are numerous. Sharing with you helps me even more! I've really grown to enjoy knitting socks. I used to collect toe socks as a teen (are those still a thing?! ), so I think my adoration has been longstanding. I really like the way these self striping yarns knit up. I recently finished one sock and am going to cast on the second this afternoon.